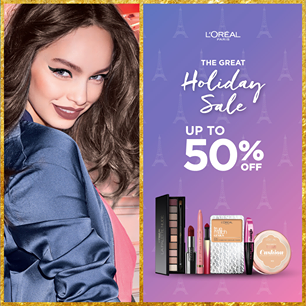 L'Oreal's The Great Holiday SALE is here! 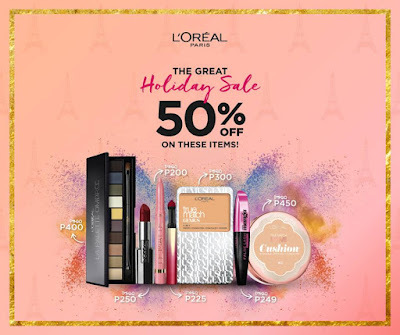 Enjoy up to 50% OFF on L’Oréal Paris makeup! 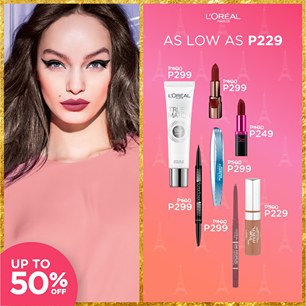 Be #PicturePerfect this holiday with L'Oreal's bestselling foundations, powders, lipsticks and eye makeup for as low as P200. Grab yours from November 17 to December 31, 2017 from L’Oréal Paris makeup counters nationwide. India is one of the exciting places where you can visit number of tourist destination on a single place. It shows always awesome look with nature and their gifts like hill stations, gardens, waterfalls, river etc. These places are easily visited in your sufficient weekend. You can also come with your family to visit it. Nepal group tours can be an experience of a lifetime. The tours offer thrilling adventure sports such as river rafting, bungee jumping, paragliding, skydiving, and skiing.